Most of us could use a little more closet space. 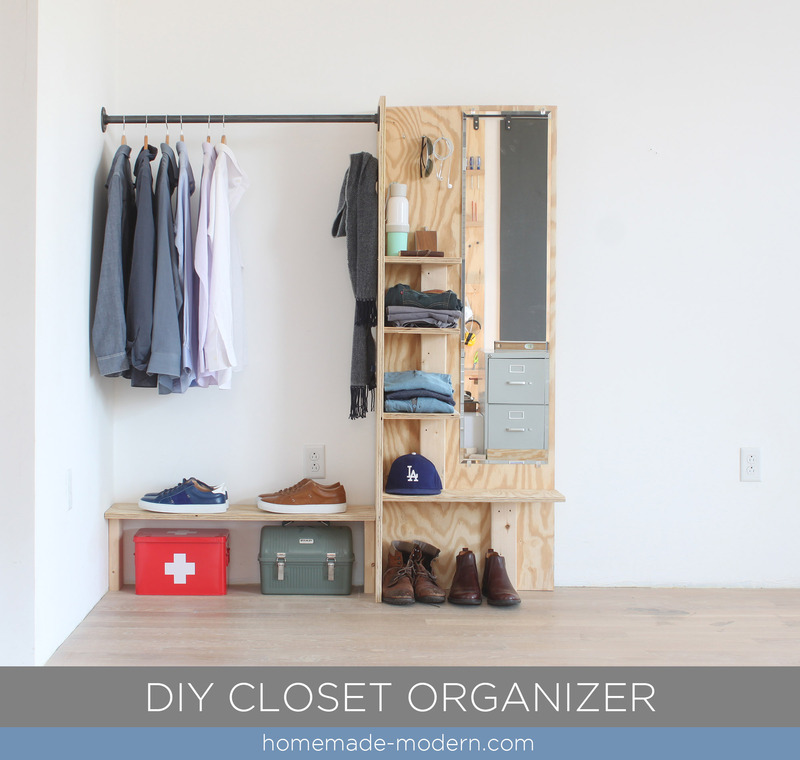 This versatile DIY closet organizer can help structure your stuff inside of a normal closet or provide extra storage space outside of it. 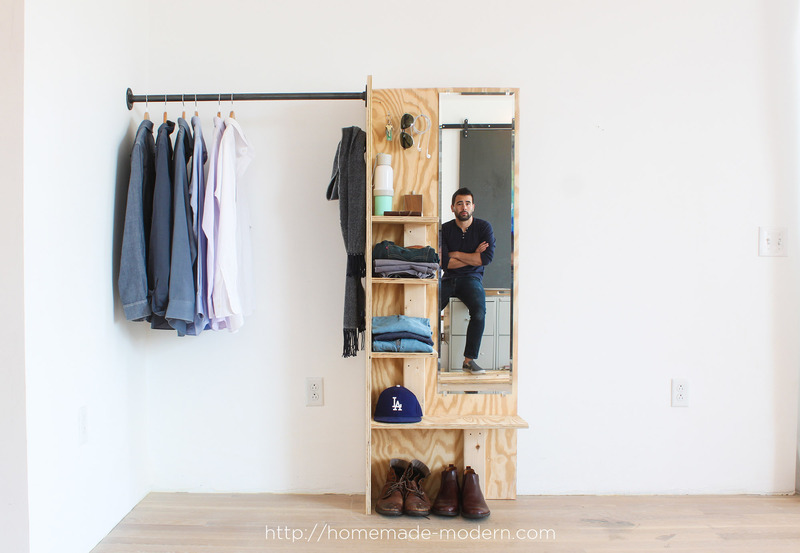 This project which could also serve as a dressing station or valet is made from ¾” plywood and 2x4s. 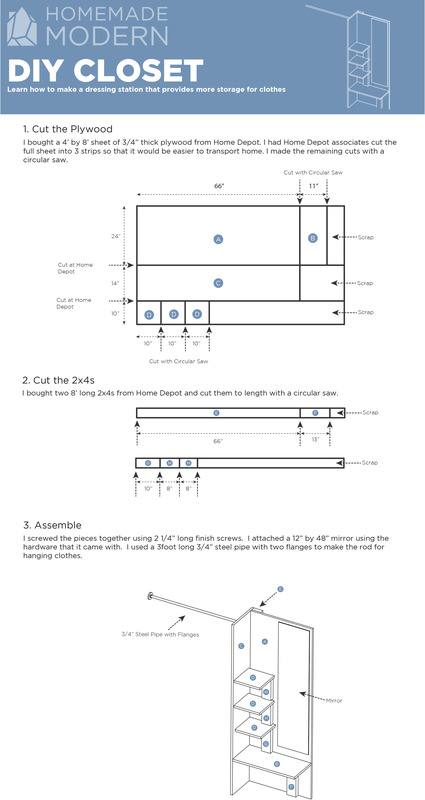 This project costs around $70 and takes about 3 hours to make.